It is no secret that I love my cast iron pans. There are lots of reasons to embrace cast iron. First, it is non-toxic; when you heat it up, it is not going to give off any toxic materials, like a Teflon pan. It is very versatile. You can use it on the stove or in the oven. It cooks evenly, which means the heat is distributed well, and you don’t get any “hot spots.” It is easy to season and simple to clean! When you get a new pan, you should season it well. Basically, you add fat to it. 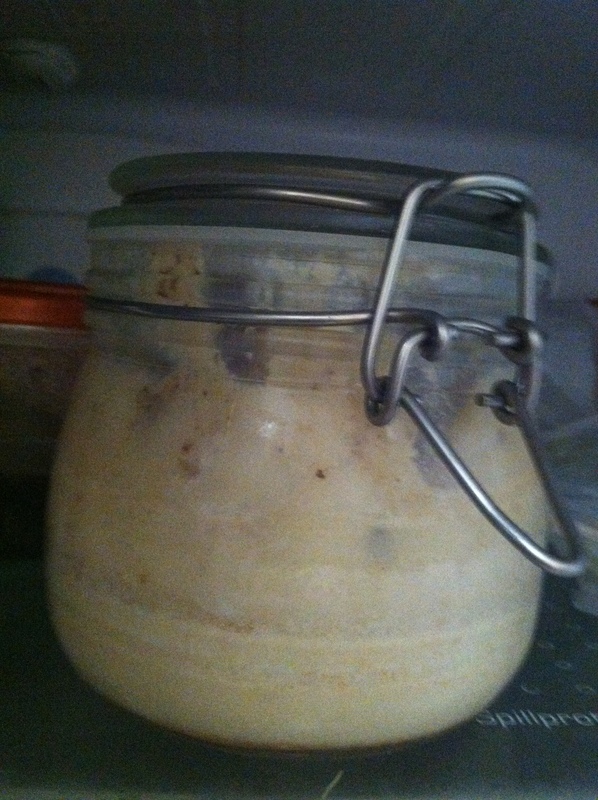 You could use vegetable shortening (Crisco), olive or vegetable oil, or my favorite, bacon fat. Save all of the bacon grease from the pan when you make bacon and keep it in a covered can of some sort in the refrigerator). You should also add a bit of salt and rub that in the bottom and all the sides. Cleaning your pan is simple…Rinse it in hot water while the pan is still hot. DO NOT USE SOAP!!!!! This strips your pan of all its flavor and seasoning and all you are left with is a soapy taste. No one wants to eat soap flavored food. If your pan has been sitting out and has some food stuck in it, just heat it back up on the stove, add a little water or oil in the pan, and it will be easy to clean with a paper towel or gentle scrub brush. Do not soak your pan in water. You want to make sure you dry your pan completely. I dry mine off in a 200 degree oven for a while. This will help prevent rust. If you do find a bit of rust, you can rinse it in hot water and re-season the pan with some fat and salt. 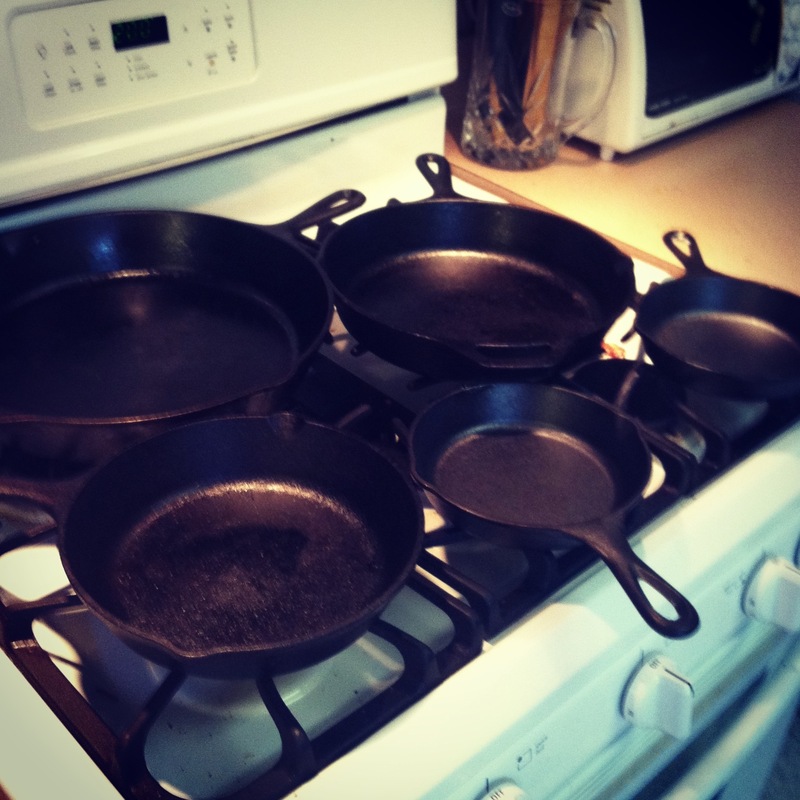 Storing your cast iron pan- I keep mine in the oven, on the stove, and in the cabinet doors. Do not stack them inside of each other. This may cause them to rust.